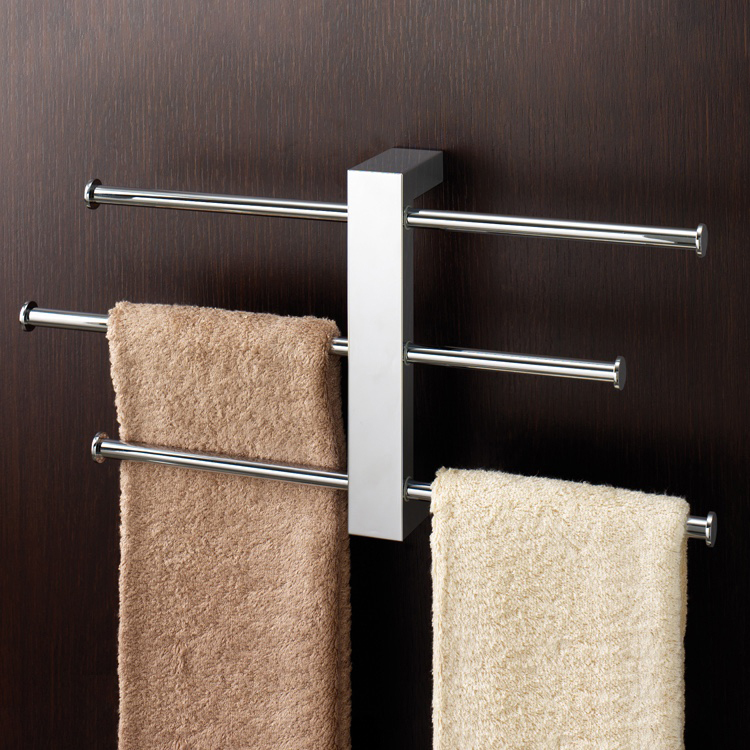 An adjustable, wall mounted polished chrome towel rack from the very popular Gedy Bridge collection. 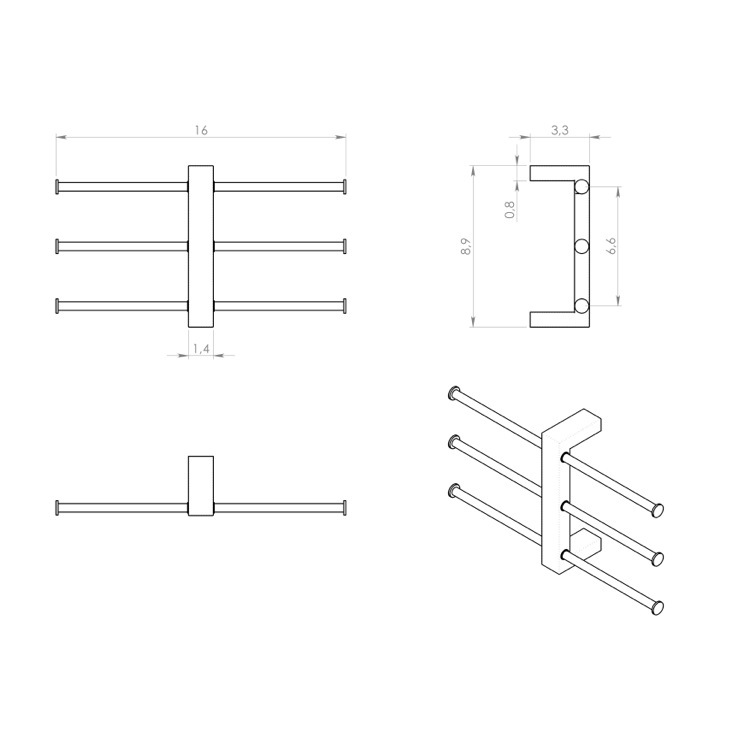 This towel rack has three sliding towel bars, giving you great flexibility to use as a triple 16 inch towel bar, or even as a towel rack with six small towel bars that you can use to hang hand towels or smaller bathroom towels. Because of its sliding towel rails, this decorative chrome towel rack helps save space on the bathroom wall. This contemporary chrome towel rack is suitable for a modern guest bathroom or master bathroom -- it's the perfect chrome towel rack for contemporary or more modern settings.